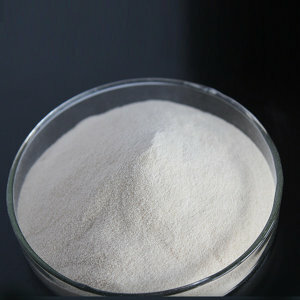 Carrageenan, or carrageenin, is a kind of hydrocolloid extracted from red seaweeds. Carrageenan can be used as gelling, thickening, stabilizing, emulsifying or suspending agent in food, chemical and pharmaceutical industry. It is also regarded safe and nontoxic by FAO and JECFA. It is a high-molecular-weight polysaccharide made up of repeating galactose units and 3,6 anhydrogalactose, both sulfated and nonsulfated. The units are joined by alternating α-1,3 and β-1, 4 glycosidic linkages. Kappa, lota and lambda are three major forms of carrageenan. Refind and semi-refine carrageenan are two basic grades. Refined carrageenan has E number of E407 in EU. Carrageenan is an alternative for vegetarian and vegan as it could be used to replace gelatin. In 2016, the global capacity of refined carrageenan was around 15,600 metric tons and semi-refined carrageenan was 37,000 tons, while China, as the main origin of carrageeman, contributes to 90% and 25% of the capacity respectively. The top three suppliers of carrageenan in China is Shanghai Beilian Biotechnology, Fujian Green Fresh Group and Longrun Newstar Company. Their capacity counts 80% of China’s national capacity. The potassium extraction is the dominant processing technique of carrageenan production in China. K-extracted carageenan has the greatest outcome in all the categories of carrageenan. In 2016, the refined carrageenan supply was 14,050 metric tons, while the semi-refined ones was 9,200 metric tons. I-extracted carrageenan, which was processed and extracted using ethyl alcohol and calcium method, had much less supply, as refined carrageenan was 550 metric tons and semi-refined was 400 metric tons. Please follow OKCHEM.COM for supply and news about carrageenan.